Natural Star Nani on Full Swing this Year 2018 with the Latest Super Hit Movie ‘AWE’ which is came under his Production House. Nani Produced as well as gave Over Over to the Flick ‘AWE Movie’. Nani is continuing his magic and waves at Tollywood Box Office by delivering back to back Blockbusters. From the Year 2015 to till now. In the Year 2017 Nani came up with Nenu Local, Ninnu Kori, MCA)Middle Class Abbayi) hat trick hits at Tollywood Box Office. Now in 2018 he is coming with his latest Flick ‘Krishnarjuna Yuddham’ Movie playing in double role as Krishna and Arjun. This is the third Movie Nani playing dual role and the 2 movies are like Jendapai Kapiraju, Gentleman. 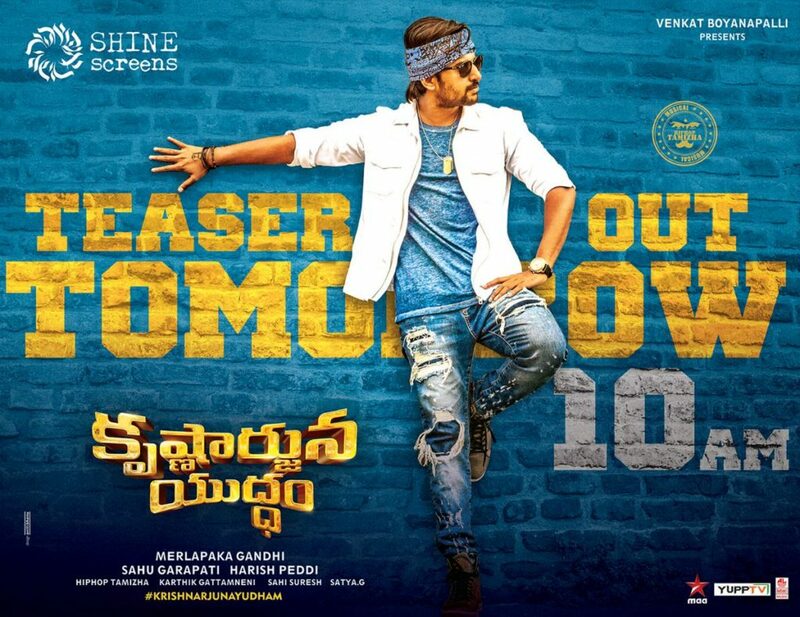 Nani ‘Krishnarjuna Yuddham’ Movie Teaser released today and it looks much promising entertainer with full of Comedy. Nani, Anupama Parameswaran, Rukshar Mir Starring Krishnarjuna Yuddham. Story Written and Directed by Merlapaka Gandhi, Produced by Sahu Garapati, Harish Peddi under Shine Screens Banner, Music by Hiphop Tamizha Cinematography by Karthik Ghattamaneni. Krishnarjuna Yuddham Movie set to release on April 12, 2018.